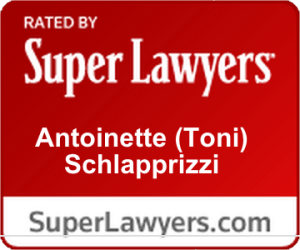 Antoinette (Toni) Schlapprizzi is a trial attorney at Schlapprizzi Attorneys at Law, licensed in Missouri and Illinois. 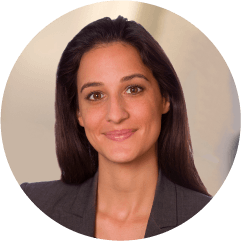 Saying she cares about her clients is an understatement; Toni believes that everyone has a dignity that must be honored and respected, and through her work as a trial attorney, she aggressively defends and protects this dignity each and every day. She received her undergraduate degree at Tulane University, where she was a Division I soccer player. She then went on to graduate from Washington University School of Law. Since then, she’s been defending the people of St. Louis in both state and federal courts alongside her brother, Craig, and her father, Don. Certainly what drew Toni to the law was her father, Don Schlapprizzi. His conviction, moral code, and talent seep from every pore of his being to serve injured people and their families decade after decade. As a little girl, her father would tell her the stories of his clients and the courtroom, and she would pray for those people every night before bed. Toni considers her father to be the greatest mentor, teacher, and man she has ever known. Toni is quite passionate about the nature of the jury process. The fact that the community can step forward and dictate what the laws, standards, and rules will be in the community motivates her to this day. Toni has ambitions to continue the legacy of Schlapprizzi Attorneys at Law with her father, Don, and brother, Craig. 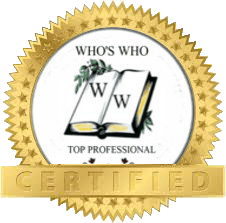 She feels blessed to be a plaintiffs’ trial lawyer, and has great esteem for the legal profession and the courageous jurors, past, present, and future, in our community. Highway Motorcyclist Crash Settlement Reached.